Active GPS Timing Antenna with built in LNA & SAW Filter. 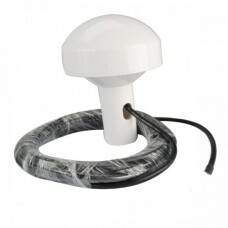 Supplied with 10 meter of RG58 terminated with an SMA male. Supplied in a weather proof enclosure with a screw base (G3/4 /¾ inch BSPP thread). No mounting hardware is supplied. For suitable mounts try Glomex marine mounts.